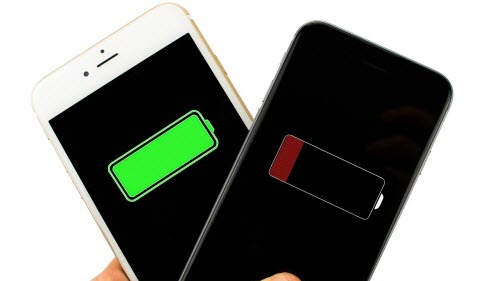 Reports from The Verge: Apple has confirmed battery life discrepancies in the newest iPhone models, saying today that not every device performs exactly the same due to manufacturing differences. Yet the difference is minimal, Apple says, and some devices may get up to 3 percent better battery performance in real-world conditions due to standard tolerances. It’s a rebuke to online testing groups that have reported up to a 50-minute gap between two different devices, which is a tiny sample size. Testers have cited the possibility that Apple’s use of a second chip maker, TSMC, alongside Samsung to meet manufacturing demands may have resulted in battery differences. “Our testing and customer data show the actual battery life of the iPhone 6S and iPhone 6S Plus, even taking into account variable component differences, vary within just 2 to 3 percent of each other,” Apple said in a statement. The company refuted testing done in the lab by third parties, calling them “manufactured” because they use unrealistic parameters. Those tests “are not representative of real-world usage, since they spend an unrealistic amount of time at the highest CPU performance state. It’s a misleading way to measure real-world battery life,” Apple added. This is typical for both current and past Apple products, and reflects across all phone types, meaning it does not matter which company manufactured the A9 chip, Apple clarified. The new iPhone’s battery performance was hardly cited by mainstream gadget reviews, with many seeing similar performance to last year’s model. Apple considers it an engineering feat to maintain battery life year after year, as it’s increasing the performance with its new A9 chip and, in the case of the iPhone 6S, doubling the amount of memory under the hood. Still, questions about battery life remain a constant focal point for consumers. How To Transfer All Photos From iPhone 6s To iMac? How To Recover Deleted Messages From iPhone 6s? This entry was posted in iPhone 6S and tagged iPhone 6s battery problem by IosdroneD. Bookmark the permalink.